Calgary, Alta. — The goal for any hockey team has so often been described as the desire to win the final game of the year, generally attributed to winning their respective championship. For the University of Alberta Golden Bears, they accomplished that feat twice, winning the final game of the 2017-18 Canada West men’s hockey season by claiming their 27th conference title. Two weeks later, they won the final game of the 2017-18 U SPORTS men’s hockey season to claim the David Johnston University Cup for the 16th time in program history. To help them work towards earning another set of back-to-back titles as U SPORTS champions, the Bears are once again turning to the Western Hockey League to make it possible. “It’s hard to win a national championship, but it’s even harder to win it back-to-back,” noted Bears general manager Stan Marple. “We did that in 2014-15; it’s a big challenge for us to win it again this year. After a two-year gap between being the top team in the regular season, the Golden Bears put it all together again last season, fulfilling the now-annual expectations of competing for the national crown. Looking to fuel the Golden Bears on the ice are the likes of Grayson Pawlenchuk (Ardrossan, Alta. / Red Deer Rebels), and Curtis Miske (Beaumont, Alta. 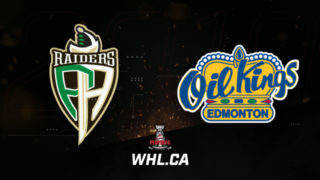 / Prince Albert Raiders). 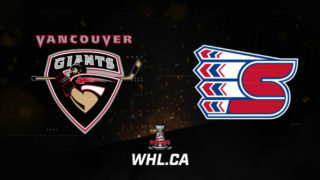 The duo both captained their respective teams this past season, as Pawlenchuk capped off a 282-game WHL career with the Rebels by scoring a career best 52 points (18G-34A) in 72 games. He also skated at the 2016 Mastercard Memorial Cup, a part of what made him such an intriguing addition to Marple. The added pressure this year comes in the 2019 U SPORTS University Cup returning to their home province, as Lethbridge is set to welcome the event for the first time in school history. While the Golden Bears have been golden on 16 occasions at the U SPORTS level, their track record in their home province is even better. Of the last four editions of the national tournament to be held in Alberta, three have resulted in victories for the Golden Bears, including a back-to-back run in 2005 and 2006. Looking to add some scoring punch to the team as well is Miske. 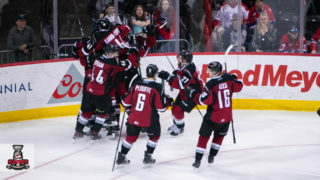 The former Raider captained his squad to a strong first-round performance in the 2018 WHL Playoffs against the Moose Jaw Warriors. His 151 points (64G-87A) over a 259-game WHL career saw him earn a contract with the ECHL’s Orlando Solar Bears after he completed his playoff duties with the Raiders. 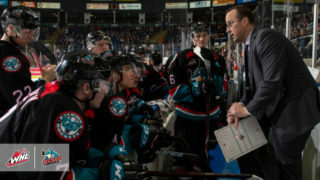 With the understanding that not every player goes directly from the Canadian Hockey League to the National Hockey League, Marple embraces the Golden Bears’ role in being a stepping-stone for these players to realize their professional hockey dreams while gaining an education at one of Western Canada’s top academic institutions. With annual turnover and some nagging injuries, the trio will all get a chance to make an immediate impact with Alberta, hoping they’ll help write the next chapter in Canada’s most storied university men’s hockey program. With WHL experience in six separate seasons after getting his first taste of the league as a 16-year-old in 2013, Pawlenchuk comes to the Bears with plenty of experience to his name. Thanks to the WHL Scholarship Program, the local product is looking to continue his development on the ice, while studying at a top Canadian university. “Of all three leagues, I think the WHL does the best job in mentoring and facilitating their WHL Scholarship program,” continued Marple. 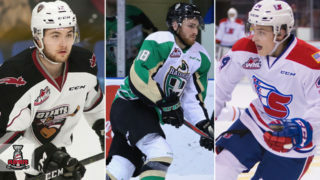 “When you look around and see the players out of Saskatchewan that have signed with [the] Belfast [Giants of the EIHL], we have multiple players that have graduated in the past four or five years that have played all over Europe and North America. 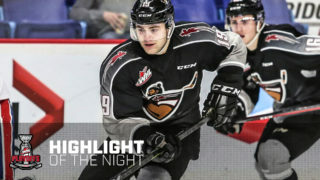 With over 300 career WHL games to his name, including his 28 playoff games worth of experience, and two years with a leadership letter on his jersey in Red Deer, Pawlenchuk is the latest Alberta addition who isn’t short on character.